Comoran Pty. Ltd. has been in the business of software design since mid 1970's. We have developed and maintained a variety of software applications, including systems for Advertising and the Fast Moving Consumer Goods markets. More recently we noticed a lack of availability of low cost, easy-to-use "diary" style booking software. 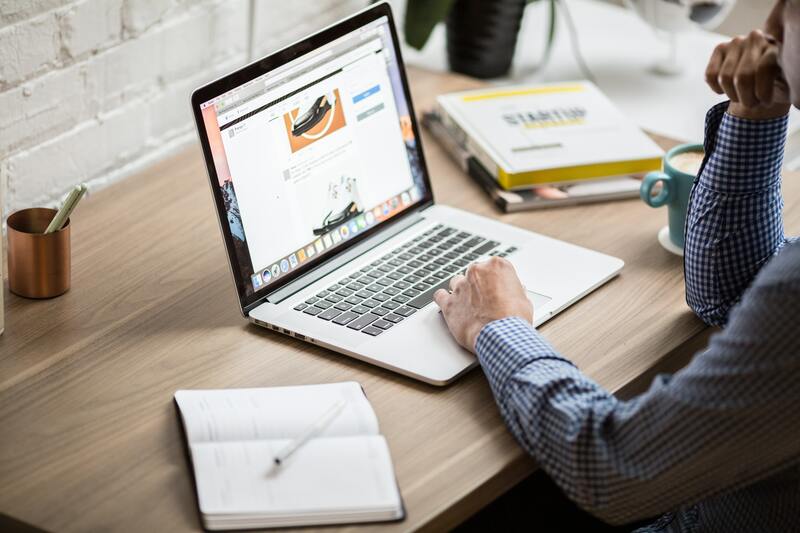 So often, we noticed, software packages concentrate on the client database aspect, and ignore the need to see at a glance what the clients have booked. We decided to combine these two aspects into one system. Our first development was for the group camping market, and we now have installations throughout Australia with our product called CAMPS. The flow-on from this was our facility booking products FRONTDESK PLUS and FRONTDESK ENROL. hese have proven very popular, as they fill the needs of organisations who want to book/reserve facilities, invoice, receipt, keep track of clients, class enrolments and potentially share the information amongst multiple users. Often these organisations are small with little IT support, and so need a system that is very easy to install and use. Our latest development recognises the move to web enabled software - webFrontdesk - it combines FRONTDESK PLUS AND FRONTDESK ENROL in one package that can be accessed from PC, Tablet or phone - we are very excited about this and look forward to a lot of our customers transferring to this package as well as many new customers who have been cautious about a desk top package - we recognise that this is indeed the way of the future! Now we have webFrontdesk - combining Frontdesk Plus and Frontdesk Enrol - operated entirely from the web. Now you can be mobile - making and checking your booking status from anywhere and all devices. FRONTDESK is a facility booking/reservation suite, allowing the user to book/reserve anything from meeting rooms, boats, tennis courts, hire equipment etc with invoicing facilities. If you run classes, teams, training of any sort then this is for you. Would suit swimming classes, classes at community centres, team sports, sporting complexes, education, corporate training, first aid classes. Camp and campground reservation software. All aspects of camp management handled with ease. Graphical reservation Diaries, client database, billing, receipting, statistical reports on occupancy - everything that camp management needs to run a successful camp. CAMPSPLUS – includes all of CAMPS plus, for holiday camps, the ability to register, invoice and receipt individual campers and Room and group allocation also included. 2 users same location. AUD$110 each extra user. 2 users same location. AUD$154 each extra user. 2 users same location. AUD$160 each extra user. 2 users same location. AUD$165 each extra user. We have several computers and we all want to enter/retrieve data. Can we network your Products? 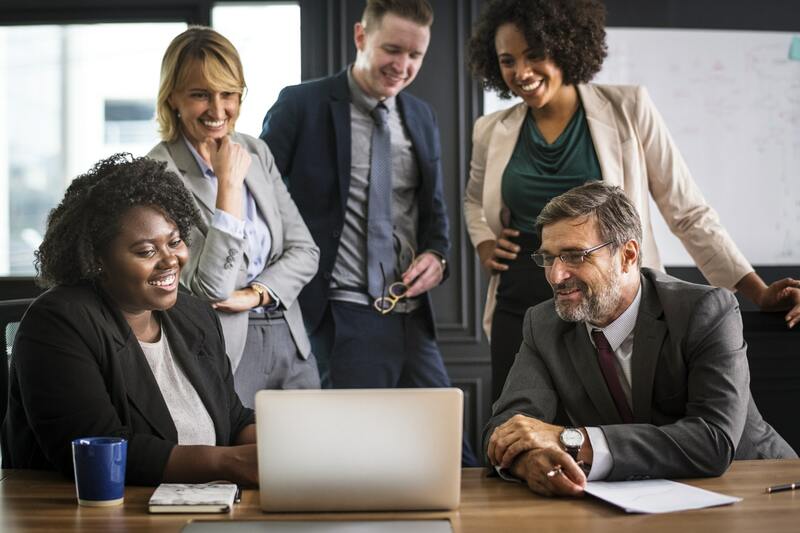 Our Products can be easily networked, so that several operators can be entering data at the same time, and everyone can be up-to-date with the latest information. I am not really familiar with computers. A lot of the software I have looked at seems so complicated and I am worried that I will not be able tooperate your Products. Most of our customers are not particularly computer literate – our Products is specifically designed for the “not so literate” customer. We assume that you may not have a supporting IT Department, and handling computer problems is not your strength. Never will you be left with a problem unsolved. I have looked at other booking/reservation software and they just don’t seem to fit my camping centre environment. Our centre handles mainly groups, and we deal with one person for lots of campers. Is CAMPS just a modification of this type of software? 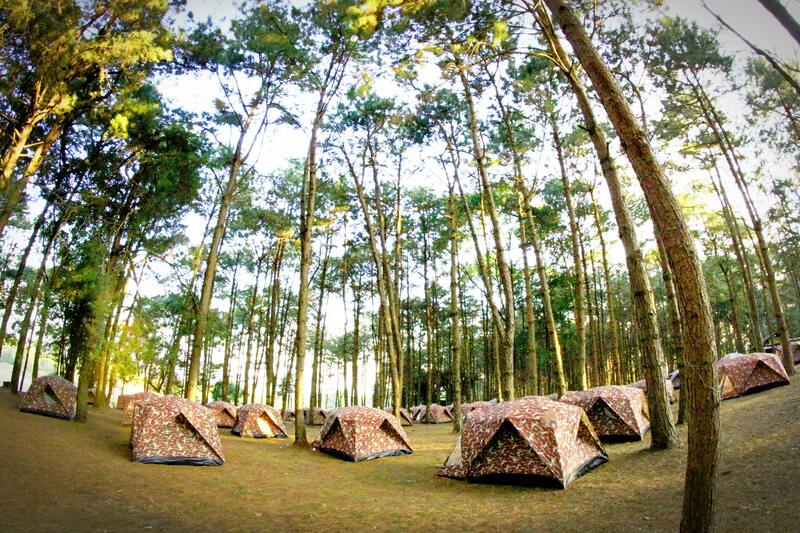 CAMPS has been specifically designed for the camping industry. It is not at all a modification of existing hotel/motel style booking software. I really need to establish a database of customers – does our Products have this? Our Products does indeed hold a database of your customers. When you enter a booking you can select from customers already on file, or add a new one “on the run”. I would like to be able to market to my customers, but I need to classify them, for example by Primary and Secondary Schools – can I do this with your Products? Yes, our Products allows you to classify your clients by a “User Group”. The categories are set by you. You can have any breakdown of your clients. Sometimes I make bookings two or three years ahead. Can your Products handle booking that far ahead? Our Products can book any number of years ahead. I would like my Logo on my Booking Form, receipts and Invoices. Can your Products include my Logo? At our centre we have both groups and individual clients. Can your Products handle this? I have to report to a Committee each month and it takes me ages to put together the reports. I am so busy running the centre, that, sometimes, I have to stay up very late to get these reports done. Have your Products got reports that I could use? A very frequent question! Our Products have Income reports and Statistical reports, all activated by a click of the mouse. So many of our customers find that almost this alone justifies the purchase of our Products – the time saved and the lack of stress just before the meeting are worth so much! As well as our group camps, we run “holiday camps” and we need to keep records of each person who comes. Does CAMPS come with this facility? We have this module, and, for a small extra cost you can have a system that handles both your normal bookings and the individual campers for a “holiday camp” scenario. What’s more, not only can you register the camper, but you can Invoice and receipt him/her, allocate the camper to a room, and print out lists of camper in various forms, which can then be given to the Camp leader, the First Aider etc. Thank you. Your message has been successfully sent. We will contact you very soon! Webfrontdesk has three main modules – Bookings, Venue hire/Invoicing and Class Enrolments. Camp management made easy! 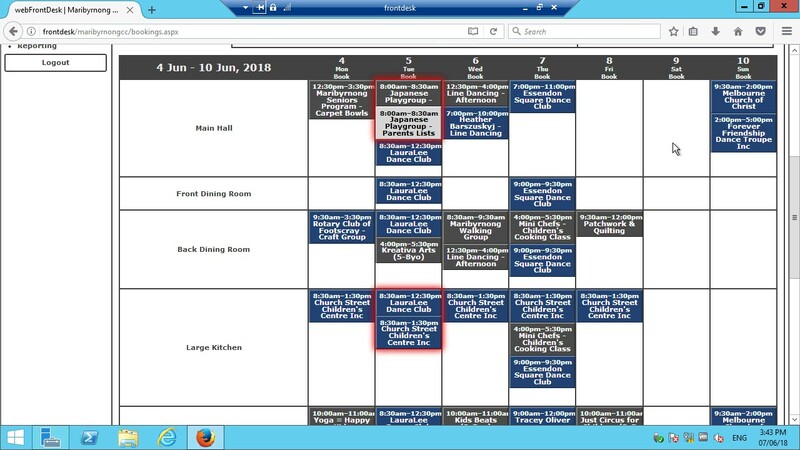 Camp and conference centres will love the Graphical Calendars, client database, billing, receipting, statistical reports. GRAPHICAL CALENDARS - your reservations at a glance. Weekly, Monthly and Yearly Calendars,colour coded as to tentative and confirmed, give instant response to enquiries. CLIENT DATABASE - no more tedious typing of names and adresses. FOLLOW UPS - deposits and final payments. BOOKING FORM - conforms to latest accreditation guidelines. INVOICES AND RECEIPTS - created and printed at a click of a button. INCOME - projected and actual. 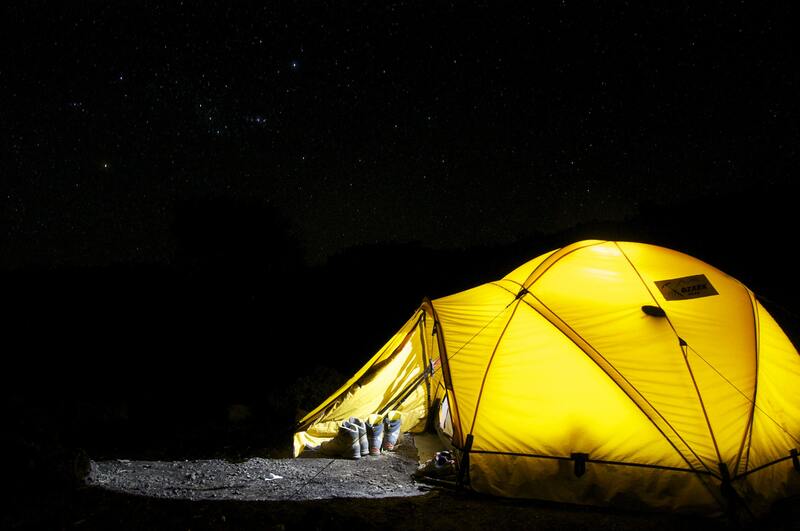 The ability to register, invoice and receipt individual campers. Room and group allocation also included. GRAPHICAL DIARIES - your bookings at a glance. Weekly, Monthly and Yearly Diaries,colour coded as to tentative and confirmed bookings give instant response to enquiries. INVOICES AND RECEIPTS - created and printed at click of button.